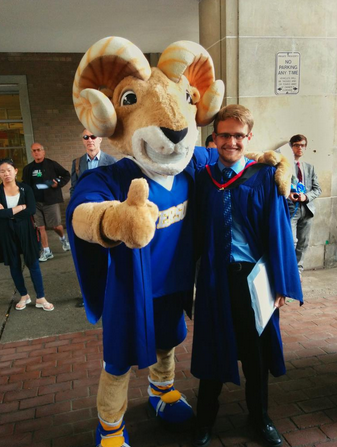 This Past monday I crossed the stage at the Ryerson theatre and received my degree. 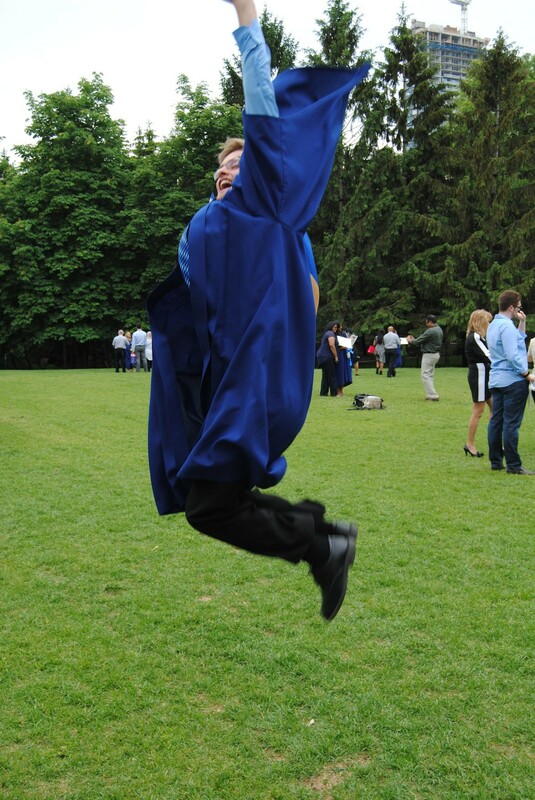 Meaning my time at Ryerson is officially done and I am a Ryerson alumni!! First of all, I send a huge shoutout to all those involved in organizing and planning the convocation events this past week. I must not be an easy task organizing 400 students at a time, especially with rain and TTC closures making it even harder, but everything ran very smoothly and I had a lot of fun. It was great to catch up with my GCM classmates again after over a month since we wrote our final exam. But It is also the last time we would all be together, hard to believe after four years and hundreds of hours of class. To be honest, when my name was called and I crossed the stage I was thinking about where I had to go, who’s hand to shake and making sure I didn’t trip. When I finally had my degree in my hand and I read the degree is when the feelings of happiness, excitement, relief, accomplishment and everything in between kicked in. Huge shoutout to my wonderful parents who have been so supportive all throughout my undergrad. So what’s next for me? I continue to work full time, which I am going into my second month of this week. Next weekend I move back to Toronto for the summer, and of course this summer is the PanAm games in Toronto which I am volunteering for, and I’m very excited for. After the summer I’ll be moving back home and hopefully buying a car, but that’s still quite a bit down the road. 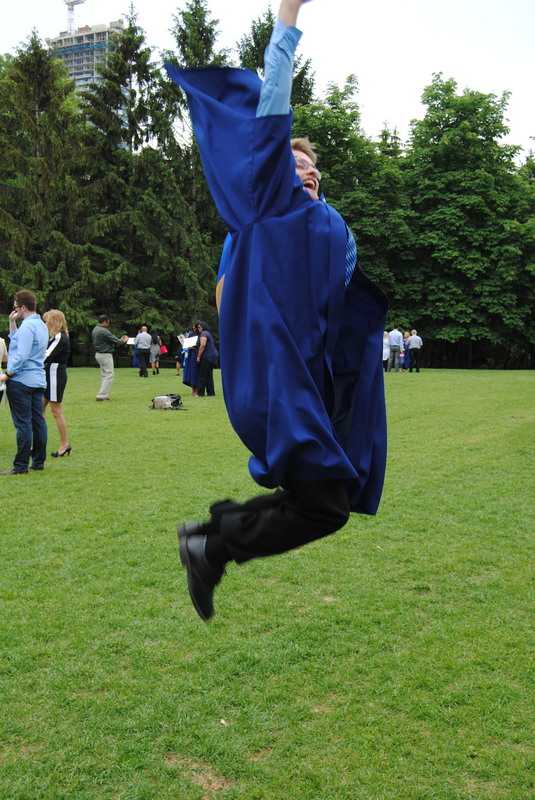 When I look back at when I was choosing a university, I am so glad that I choose Ryerson. The past 4 years have been amazing, and I wouldn’t have it any other way. 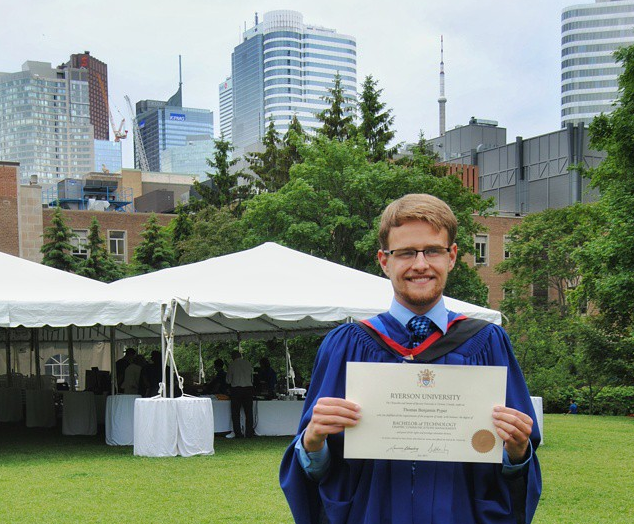 I have learned so much during my time at Ryerson both inside and outside the classroom, and I am thankful that Ryerson has been a place where I can be myself and try new things. 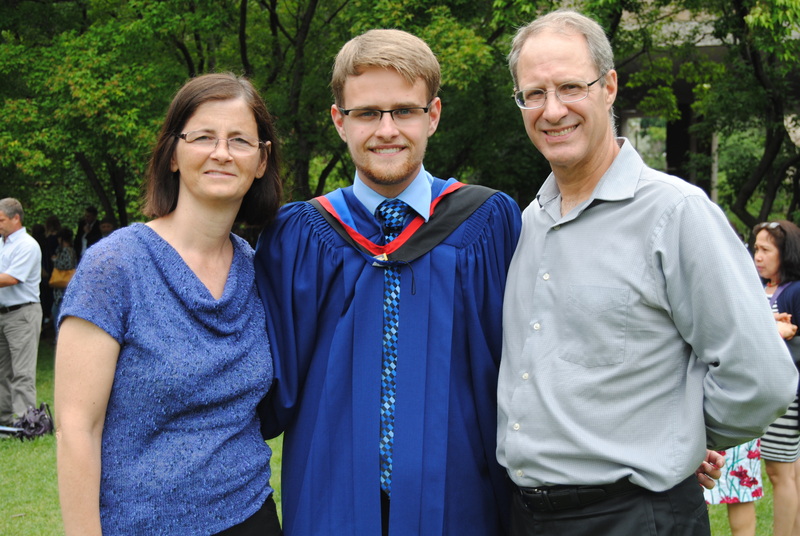 Thank you so much to all those at the university, both staff and students, that make Ryerson the great place it is. This is no way goodbye, I will make sure to visit the campus every once in a while and I’ll defiantly still go to the MAC to cheer on the Rams whenever I get a chance. I would also like to thank all those involved in the #RoadFromRyerson project. I really enjoyed sharing my story for the past month, and I hope you enjoyed Reading.